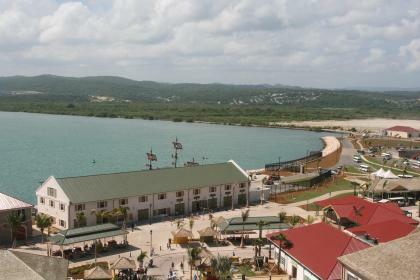 Many of our readers are eager to know the state of construction at Falmouth, Jamaica. Being one of Royal Caribbean's newest ports of call, it's a common stop for many Royal Caribbean Western Caribbean cruises. If you're curious what the state of affairs are, here are some photos of the port that Otterman34 posted on CruiseCritic recently. 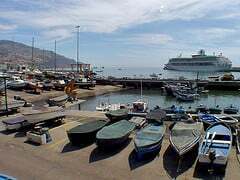 The number of cruisers in the port of Malaga in Spain has grown 33 percent in the first half of 2011 compared to the same period last year, doubling the average growth for the rest of the Mediterranean. Specifically, a total of 243,794 passengers have passed through Malaga, compared to 182,927 in 2010. 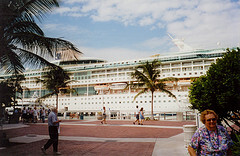 Specifically, the average cruise passenger was of 2,050, up from 900 in 2010 as "fundamentally" the commitment of the Royal Caribbean in Malaga, "without doubt the largest cruise company in the world," although, however, Linde has stated that the rise in the number of vessels has not been "spectacular", a three per cent. During this period, eight ships have docked for the first time in the port, two more than last year. Linde has pointed out to reporters that in addition to Royal Caribbean, there are more companies interested in Malaga port, but stressed that it is "the big client hoped to achieve with the opening of the second phase of the Sea." Thus, Malaga is positioned at number 13 of the European rankings, with figures very close to the ports of Marseille (France) and Copenhagen (Denmark), as highlighted on Thursday during a press conference the president of the Port Authority Malaga Enrique Linde, who has called the balance sheet "in almost all traffic very positive." 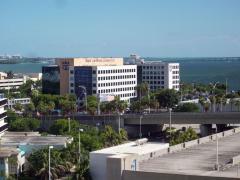 Royal Caribbean's headquarters will remain in Miami, Florida until at least 2021 under the terms of an agreement approved Tuesday by the Miami-Dade County Commission. Rent for Royal Caribbean in August 2015 will go to $3.8 million per year for the three building complex. Miami deputy port director Juan Kuryla characterizes the price as "far below market value" but the deal will keep Royal Caribbean in the area for the foreseeable future. The new agreement is good for ten years and includes clauses for two five-year renewals. In addition, the port of Miami will be obligated to make $850,000 worth of repairs to the three buildings over the next couple years. In addition, both Royal Caribbean and the Port of Miami will make $6 million in improvements to Terminal G. Miami-Dade county will pay $3.5 million and Royal Caribbean will pay $2.5 million. What does this get Miami? Royal Caribbean guarantees to bring in at least 325,000 passengers a year at Terminal G, a figure that is lower than years past. However, if Royal Caribbean reaches 375,000 passengers, Royal Caribbean is entitled to a discount on port fees that increases with every additional 50,000 passengers. On Wednesday, residents of Key West, Florida discussed plans to dredge the channel to allow larger cruise ships to visit the city. 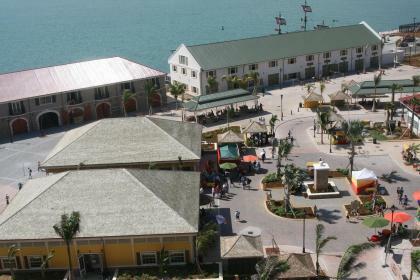 Royal Caribbean warned without such a dredging, Key West would simply be passed over by it and other cruise lines. According to a reconnaissance study by the U.S. Army Corps of Engineers, the project would be economically viable and cost about $35 million. There are opponents to the plan who cite economic and environmental concerns. Key West's Director of Port Operations, Jim Fitton, is worried that without dredging the channel, Key West will simply be bypassed by Royal Caribbean and other cruise lines on their way to Mexico. Fitton told the room of residents, "They'll bypass us and go straight to Mexico. Royal Caribbean used to be our biggest client. In a couple of years, it'll be down to no boats; that's where we're going. " Some residents wanted to know who exactly made the statement that Key West would be crossed off itineraries. In response, Fitton named Royal Caribbean's vice president of government relations for the Caribbean, Latin America and Asia Michael Ronan. In an email Ronan sent to Fitton earlier this month, "All ships we have built and are planning to build since 2005... cannot call Key West under present channel conditions. We operate our newest, largest ships in the Florida/Gulf and East Coast itineraries. As we bring on our newer vessels they replace older, smaller ones on the preferred U.S. itineraries. We presently operate routes that would call Key West if the channel could accommodate them. With the opening of the new larger locks in the Panama Canal [scheduled for a 2014 completion] our ship designs for the forseeable [sic] future will be of a size that will not be able to call Key West if the channel is not modified. " Key West officials are considering a plan to widen the shipping channel into Key West that would allow larger cruise ships to visit the iconic island. The city council is considering the plan and wants input from its residents as well as consider the economical and environment impact dredging would have. By enlarging the channel, ships like Royal Caribbean's Oasis of the Seas could stop at Key West. Currently Oasis is too big for Key West, but dredging would allow a ship like Oasis to make a stop there. City Manager Jim Scholl cautions the plan is still in its infancy but it's a step in the right direction, "It's just a presentation and discussion. The commission will hear about all the aspects of the channel-widening project and what the true impact of that proposal will be for Key West being a port of call for the cruise-ship industry. And really whether or not the commission will want to support the next step." A popular Western Caribbean port of call for Royal Caribbean, Cozumel is an island located on the eastern shore of Mexico's Yucatan Peninsula. 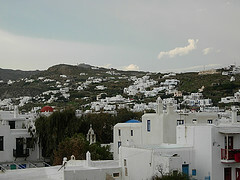 The island offers plenty of beach and sun fun along with some cultural heritage. Beaches: Cozumel has some great beaches to choose from in and around the city of San Miguel de Cozumel. While not the most beautiful beaches in the Caribbean, they are plentiful and make great options for beach days. 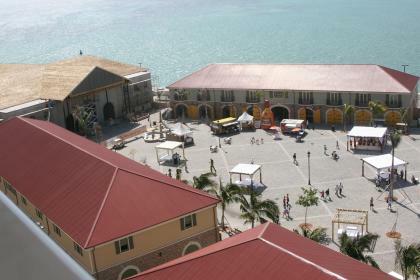 Most of the well-known beaches are within 10-15 minutes of where Royal Caribbean docks via taxi. 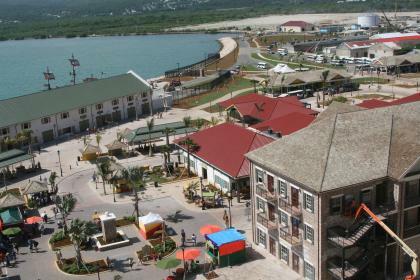 Shopping: There's a lot of shopping options to be found in Cozumel's city of San Miguel de Cozumel. Most of the shops along the main road (Rafael E. Melgar) are riddled with tourist trap stores but stores found further into the city (within 3-4 blocks) offer more original options and better deals. 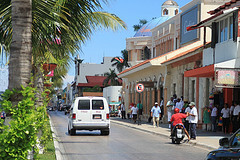 Cozumel boasts silver jewelry from other parts of Mexico as well as a wide selection of crafts. Furthermore, being that this is Mexico, prices for goods tend to be cheaper here than in the United States. Excursions close to the ship: There's a lot to do in Cozumel if you're looking for an excursion and most are within an hour of where Royal Caribbean docks. Most excursions, both from Royal Caribbean or via third party, are within a 15 minute taxi ride of the dock, with a few excursions across the Yucatan Channel in nearby Playa del Carmen. 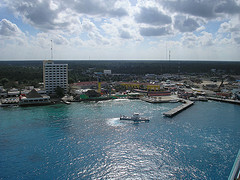 Diving: Cozumel is well known around the world for its scuba diving and snorkeling. The nearby Palancar Reef was well documented by Jacques Cousteau in the 1960s and since has been publicized as one of the best places to go scuba diving in the world. Best scuba locations: Reefs at Palancar, Tormentos, San Francisco, Santa Rosa & Paraiso North. Safety: Mexico isn't known for being the safest country in the world. While most of the violence is in north west Mexico, there are still elements of crime to be concerned with while in Cozumel. Like many ports of call, it's important to be aware of your surroundings. We've also heard plenty of stories from tourists who rented a car, got into a minor accident and had to deal with settling the matter on the spot. El Salvador has been trying to position itself as an attractive destination for cruise tourism and that dream is about to become a reality according to Jose Napoleon Duarte, Minister of Tourism. Duarte said that El Salvador has been in negotations with Royal Caribbean to include El Salvador in their cruise routes and are in the advanced stages of planning. "We are very close to achieving the first cruise route to El Salvador in history through the arrival of Royal Caribbean country," she confirmed. Although no exact date has been revealed when the project could become official, it's estimated that in 2012 El Salvador could receive the first cruise ship stop. This project, according to Duarte, will bring great economic benefits for the country, mainly to small tourism businesses. He noted that cruise passengers have a high purchasing power, such as the MS Europa cruise that docked last April in Acajutla, created revenues of over $ 60,000. "I always thought that cruising is an excellent business opportunity for El Salvador. Anything that creates opportunities for people is a great benefit, "he said. The arrival of these luxury cruise is a regional initiative to promote the creation of the tourist route to the Pacific, landing in the main ports in the region. 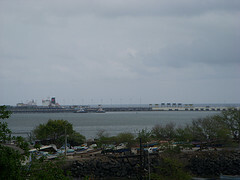 In the case of El Salvador, cruise ships arrive at the port of Acajutla and La Union Also do to. Duarte estimated that a cruise could bring travelers from 750 to 7.000, which is measured independently of the arrival of tourists by traditional media (air or land). The city council in Savannah, Georgia agreed last night to expand the cruise ship task force. Alderman Tony Thomas claims several cruise lines are interested in cruising down the Savannah river and Royal Caribbean is on that list. Royal Caribbean spoke with Thomas several weeks ago about the prospect of having a ship stop in Savannah. The increased cruise ship task force will help answer some lingering questions for the city council such as how much a cruise terminal would cost, and how much business would cruise ships bring to downtown Savannah. The key to any cruise business coming to Savannah will be the creation of a cruise terminal, even a temporary one. 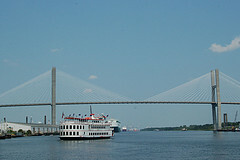 There are three locations being considered, such asthe Georgia Ports Authority Ocean Terminals 1 and 2, which already dock large ships and cruise lines who stop in Savannah. Another idea is across the river in Hutchinson Island or the Savannah River Landing next to the Marriott off River Street. None of the options are perfect and all would require a fair amount of work to get them ready. Thomas indicated that it could take 12-24 months before the city council could come to an agreement and real work could begin. Royal Caribbean Vice President of Commercial Development John Tercek and Chairman of Adjara's government Levan Varshalomidze signed a memorandum of cooperation in the development of the Batumi port to allow the port to accomodate large cruise ships. Batumi is a seaside city on the Black Sea coast and capital of Adjara, an autonomous republic in southwest Georgia. Varshalomidze told reporters that together with Royal Caribbean International will do everything to Batumi became more attractive for passengers of cruise ships. "We will work together to build this port city to international standards and will return the old traditions. Together we are working on putting Batumi in the Black Sea region as the most attractive city for cruise ships," - said President of the Government of Adjara. According to John Tercek, they familiarized themselves with the tourism potential of the city and the pace of development. "The memorandum creates the possibility of launching the first phase of work. We fully explore the perimeter of the port, the arrangement will provide the infrastructure. We will hold talks with the major cruise companies, to one of the stops of their ships was Batumi," - said a representative of Royal Caribbean International. This spring, a delegation of Government of Adjara participated in the largest travel trade show in Miami, where they had preliminary discussions. Royal Caribbean, a member of the European Cruise Council (ECC), has pledged to help develop the Greek cruise market in an announcement by Royal Caribbean's Vice President of Commercial & New Business Development John Tercek to the Greek Ministry of Culture and Tourism. The ECC has offered to act as a hub to interact with the Ministry to inform member companies of Greek developments and issues of common interest. On behalf their companies represented by the ECC. Giora Israel (Vice President of Carnival Cruise Line), and John Tercek confirmed the participation of their companies to the commission and the offer to provide expertise to Greece and expressed interest to develop and to extend the routes of cruise in the Greek seas and to add new ports of call. Last Wednesday, Greek Deputy Minister of Culture and Tourism George Nikitiadis met with Tercek, in Thessalonicawhere they discussed the possibilities of the port, and the government's efforts to capitalize on important cruise market, which, as the figures show it has an important role in the coming years the development of tourism in Greece.